In 1994, four years after German Reunification, Mario Pattis was the first chef in former East Germany to be awarded with a star by Guide Michelin. Since then, Saxon chefs have kept reaching for the stars. Today, Peter Maria Schnurr of the “Falco” restaurant at Leipzig’s Westin hotel is the only two-star chef in East Germany. He calls his creations “light and passionate” and his customers wholeheartedly agree. Stars have also been awarded regularly to other chefs in Leipzig and Dresden and in the countryside. 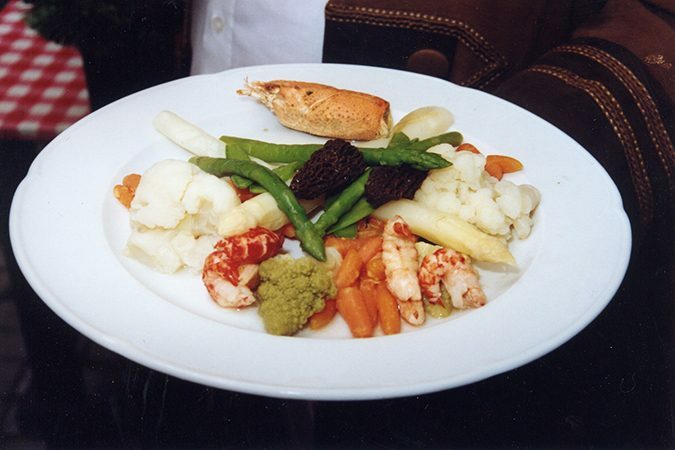 In Saxony, traditional food is still highly appreciated. This is certainly due to the fact that East Germans were not allowed to travel outside of the Communist world and non-German food was hardly available in East Germany. But it has also got to do with the fact that Saxons tend to value traditions. 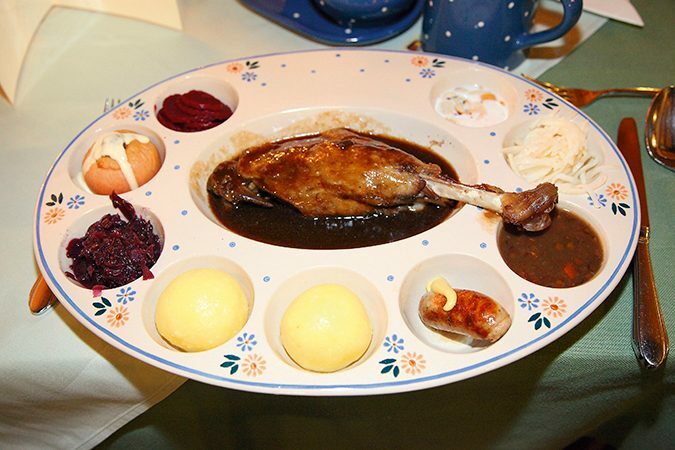 In addition to dishes available all over Saxony, there are a number of regional and local dishes worth sampling. Like in most German regions, potatoes are heavily featured. Pork dominates the non-veg dishes but with more and more people avoiding red meats, chicken and turkey variations have also become popular. 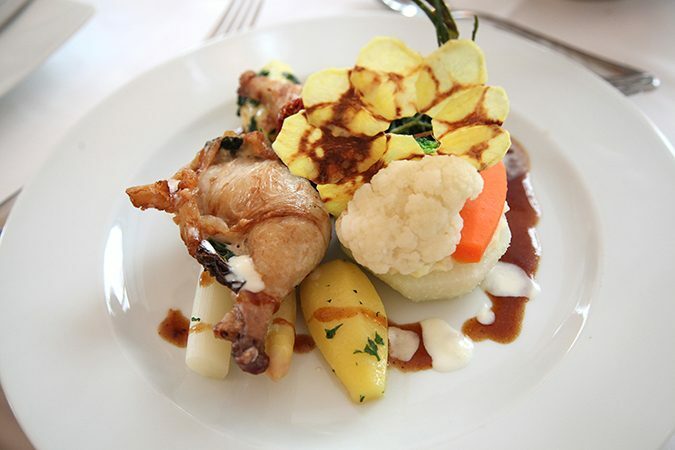 During the season, game meat is on offer in good restaurants. Since Saxony is the largest German producer of sweet-water fish, excellent fish dishes are on offer in many places and during the “Fish Weeks” in the region of Upper Lusatia. There, the Sorbian minority also has its own food traditions. Those who are looking for some entertainment while dining will not be disappointed. From October to February, the famous Dresden circus “Sarrasani” offers a dinner and variety show in a tent where André Sarrasani performs his magic tricks and plays with his white tigers. At Königstein Fortress in Saxon Switzerland, the “Casemates” restaurant offers meals with “fortress commanders” from various centuries. Food and drink is available on all river cruises starting daily in Dresden. There are a number of restaurants like the “Pulverturm” in Dresden where entertainers delight the guests regularly. In this case, dinner is served in a cellar where one sits within the remains of an old powder tower. And “Auerbachs Keller” in Leipzig, one of the best-known restaurants in the world, offers entertainment for groups along the lines of Johann Wolfgang von Goethe’s “Faustus” in which the devil rides a barrel in this famous cellar restaurant.